In 2015, there were 92,000 hit-and-run accidents across the state and Florida Highway Patrol has reported the problem is getting worse. Many cases grow cold and the perpetrators are never caught, even in cases where someone is killed or permanently injured as a result of the accident. In Florida, as in every state, leaving the scene of an accident is a crime. It can carry a sentence of four years in prison. It can also mean a criminal record for the offender. Unfortunately, in many cases police rely on honesty and on public participation to catch those responsible. 1) Obey the law yourself. If you are in an accident, always stop and offer assistance. Exchange contact information with the other driver and always make sure everyone gets medical help if they need it. 2) Always refuse to hand-wave an accident. 3) If you’re in a hit and run accident, act fast. If someone tries to leave the scene of an accident where you’re injured, take a photo if you can and memorize their appearance, the make of the car, and the license plate number if possible. If there are any witnesses, ask them to stay to assist you and to give their statements. Contact police right away – leaving the scene of the accident is a crime and police will want to investigate. You will also need a police report to file an insurance claim. 4) Help police if you can. 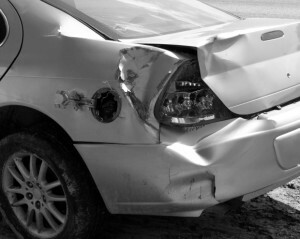 If you see a hit and run accident, take photos of the car leaving the scene of the accident, if it is safe to do so. Offer the victim assistance, and encourage them to call police. You can also contact your local Crime Stoppers to leave an anonymous tip for police, if you prefer. 5) Get uninsured motorist coverage on your car insurance. While it can increase the cost of your premiums, underinsured and uninsured motorist protection is crucial. In a hit and run crash, you can’t turn to another driver’s insurance company to cover your medical costs, car repair bills, and other expenses. In that situation, this coverage protects you. Uninsured and underinsured motorist coverage is also useful if you’re ever in an accident with a driver who is driving without insurance or does not have adequate coverage for your injuries. If you have been in a hit and run accident, contact authorities. Get emergency medical help if you need it. However, don’t forget to get legal advice about your case. If the driver is found, you can file charges against them and pursue a legal claim against him or her as well. If the driver is not found, you may face a complicated insurance situation and you will want an attorney working with you so you get the compensation you deserve. If you have been injured in a crash, contact Flaxman Law Group for a free consultation. Our legal team is part of the South Florida community and we genuinely care about the residents here. Our goal is to assist you as you get started on the road to healing.